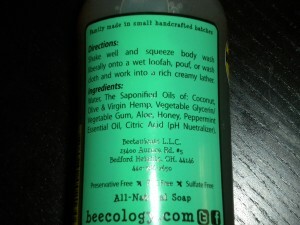 Beecology is an all natural brand that gets it’s good stuff from…you guessed it Bees. 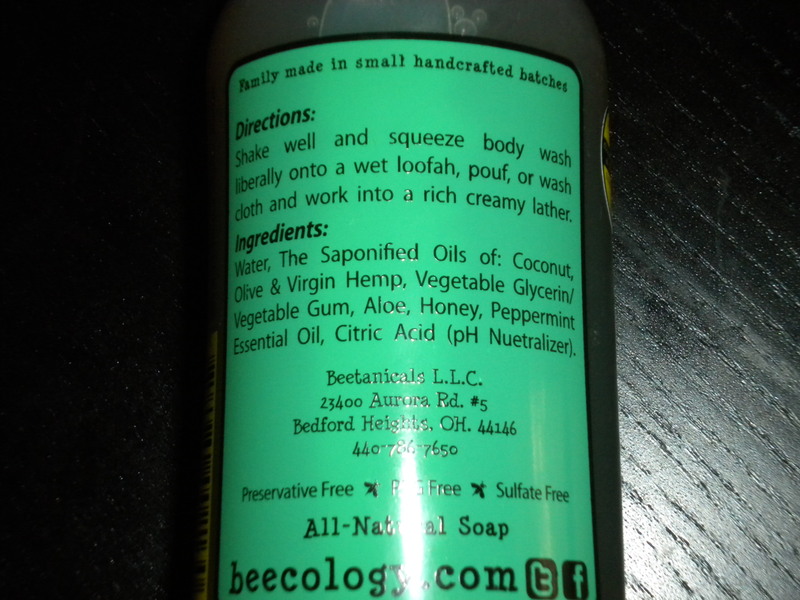 Honey is the foundation of Beecology products because of it’s antiseptic, healing and moisturizing properties. This paired with essential oils makes these bath and shower gels a a healthy treat for your body. I really enjoyed the Peppermint body wash, it lathered well, smelled great and left my skin tingly. The grapefruit and lemongrass has a beautiful frangrance to it but certainly not overwhelming. Out of the two, I would say that I preferred the peppermint body wash because it was absolutely refreshing. Beecology prides itself on using natural, healthy and safe ingredients which are never test on animals. There are no sulfates, chemical preservatives or artificial colors in their products. The company handcrafts all of their products, will not compromise on using natural ingredients and even donates 10% of their earnings to charity – how cool is that! I’m pretty impressed with the quality of the product as well as the integrity of the brand. 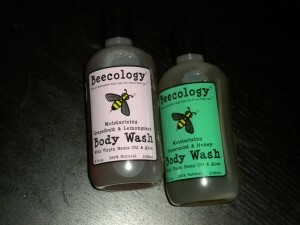 You can order their body wash as well as many other natural products from www.beecology.com . Their body wash retails for $7.99 for an 8oz bottle – well worth the price for the amazing quality of the product. Body Blessings: Mmmm smells delish! 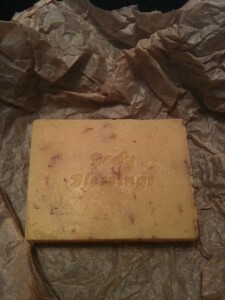 I have a weakness for great smelling products so when I first picked up Lemongrass soap by Body Blessings I had to try it. I briefly chatted with one of the sales representatives at a Shecky’s Holiday Shopping event in NYC whom told me that the soap was made from organic ingredients and it was also handcrafted. 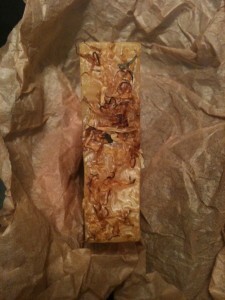 This soap has a great citrus scent and smells very yummy! It reminded me a little bit of the lemongrass soap that is sold by Bliss, however the scent of this soap is a bit stronger. This was my first time trying a product from Body Blessings but I will be coming back for more. Body Blessings also carries a wide array of hair care, skin care and bath & body products. Give them a try!